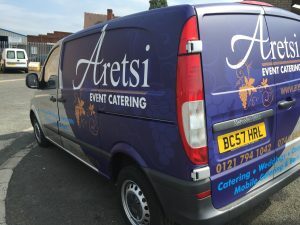 Van Wraps, Van Wrapping, Commercial Vehicle Wrapping are a brilliant way of getting your brand out there. For Van Wraps, Van Wrapping, Commercial Vehicle Wrapping, Design is the absolute key to having an effective, professional wrap that promotes your business and sells your services or products every minute of every day! A poorly designed Wrap is at best a missed opportunity to stand out from the competition. Here at Vehicle Wrapping West Midlands, we pride ourselves in getting the design of your Van Wraps, Van Wrapping, Commercial Vehicle Wrapping absolutely right. Creating an eye catching and effective advertising campaign. In the saturated marketplace we face today, vehicle wraps are a cost effective solution for all types of business owners. 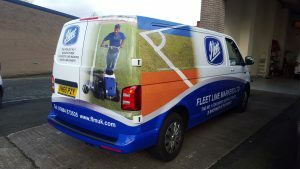 Van Wrapse wraps reach a large demographic and provide a high return on investment. Normally the rear doors of the van ( The most noticed area of the vehicle) and part of the sides. The rest of the vehicle is made up of Cnc Cut vinyl lettering). The most desirable type of van wrapping. Full Printed Vehicle wraps do cost alot initially, however, the return on the investment is much greater than a half wrap. Both methods have there foes and against. 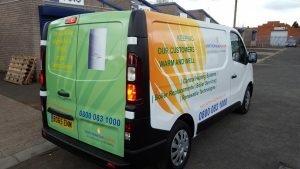 We are happy to talk to you at great length to get the right van wrap for you. From the initial inquiry for a Van Wraps, Van Wrapping, Commercial Vehicle Wrapping, we design all elements of your requirement in programs such as Adobe Illustrator CC and Adobe Photoshop CC at 25% or 100% scale. All elements are drawn in CMYK and are carefully picked to suit your brand guidelines. Any visuals that we produce will be the exact colour/ sizes as seen on screen. All full colour images are carefully picked so that the quality of the print is outstanding, or are vectored to give the perfect result. In the approval document, we detail all elements of your requirement when needed, so you get a good understanding of how it will look. Our Designers have approximately 13 years experience ( Jointly) and are able to design almost anything you can think of. Once Printed. The prints are then left for 24-48 hours to fully out gas. All Prints are fully laminated for a glossy/ Matt presentation, and protection the printed surface. 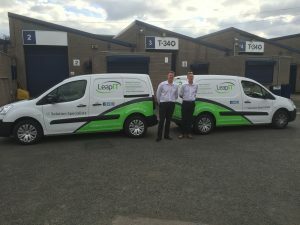 We have a dedicated team of people who are all fully converse in Van Wraps, Van Wrapping, Commercial Vehicle Wrapping, so you as a customer can be assured that the graphics & wrap is fitted to the best standard possible. Accidents Do happen when a vehicle is involved and the wrap is not invincible. We keep all Print files for up to 5 years. If an accident does happen. we can easily replace the panel that is damaged so your vehicle design is perfect once more. If it is only a scratch, and you do not wish to have the full print replaced, if you send us a photo of the damage, we are happy to print a small section to cover the scratch and send to you with fitting instructions. All Van Wraps, Van Wrapping, Commercial Vehicle Wrapping are printed on 3M printable wrap. Printed wraps should last 5 – 7 years without fade. This is due to 2 things.